Borderstan periodically publishes opinion pieces from our readers. Have something you want to share with Borderstan’s readers? Email us at [email protected]. Last week, a PoPville reader and former Columbia Heights resident wrote an “open letter” to the neighborhood. In his letter, the resident said the neighborhood was plagued by crime, garbage and drugs, among other problems. 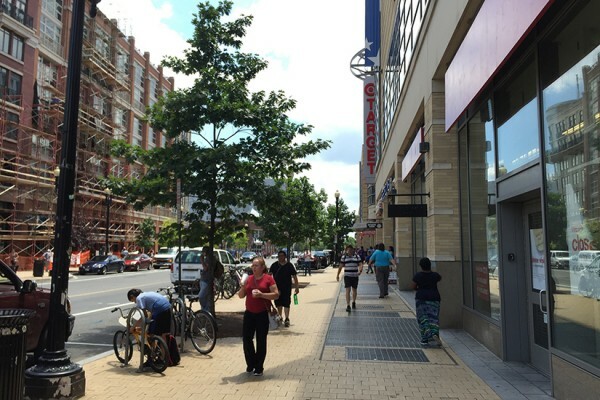 On June 28, popular blog PoPville published an open letter submitted by a former Columbia Heights resident who gave up on living in the District of Columbia after 12 years. While there is much in the author’s letter that may be familiar to those who read it, it is difficult to agree with his indictment that Columbia Heights and the District of Columbia, as a whole, are worse today than they were a decade ago. The transformation of 11th Street, as noted by the New York Times in 2011, where small locally owned restaurants thrive and continue to open is a success story that many other District neighborhoods would gladly welcome; although I lament the loss of businesses, such as Arthur’s and Columbia Heights Coffee, that served the neighborhood prior to 11th Street becoming a hip destination spot. Violent crime, homelessness, drug addiction and chronic alcoholism, and mental illness are but just a few of the challenges that still can be found in our community. Yet residents who have lived in Columbia Heights for a decade or longer will not only recognize that we’ve made significant progress with the aforementioned issues, but have also witnessed a neighborhood that is increasingly vibrant and thriving with fewer vacant houses and businesses, improved parks, and improving schools. The author’s story detailing his encounter with a young man with a gun, the subsequent lawsuit and the apparent harassment after a felony gun arrest are serious statements which do not match the experiences many have had with our very capable and dedicated police officers in Columbia Heights. In the interest of public safety, I call upon Mr. Silverman to assist the community by providing the relevant case numbers so that we can review the facts and demand justice where it hasn’t been served. Just over a year ago, Chief Lanier’s eliminated District-based vice units citing disappearing open-air drug markets and new ways narcotics are being sold. I agree with Lanier that crime is changing in the District and our police methods must adapt and change to remain effective. I disagree, however, with the notion that open-air drug markets, or worse, no longer exist in our community, which simply isn’t true. It is true that Columbia Heights is safer today than it was a decade ago, yet I believe it could be safer still. My concerns with the District’s police force falls into two main areas 1) the decision a year ago by Chief Lanier to eliminate police district based plainclothes units with little forewarning or community input, and 2) our ability to train and maintain new recruits at a time when we have a significant number of police officers leaving or retiring. The elimination of plainclothes officers stationed in our communities was a misstep that likely has more to do with MPD’s attrition rate than it does with the changing nature of crime. It was equally disheartening that our Councilmember’s response to concerned residents seeking a return of dedicated plainclothes officers was that of equating plainclothes policing with jump out squads. In conversations with beat officers, DC Police Union members, and the Office of the Attorney General, have all said that addressing the most problematic criminal behavior in our community has become more difficult since the elimination of the vice squads. This is particularly true with nuisance properties – places that can and do harbor drug dealers, illegal firearms, and prostitution. MPD’s decreasing number of experienced officers is also concerning. The impact this has on day to day policing is significant. According to a post from November 2015 on the D.C. Police Union blog, MPD’s attrition rate through retirement and resignations for police officers in DC is approaching 14 percent. Time and again, those who have invested themselves in getting to know the police assigned to the greater Columbia Heights community have developed beneficial and helpful relationships that result in a safer community. Each new retirement or resignation, however, ultimately leads to reassignments where these relationships must begin anew. This is both frustrating and counterproductive, and perhaps a factor in low community participation in Police Service Area meetings. A simple use of Google Street View shows that Columbia Heights is not drowning in more trash than it was a decade ago. What it does not show, however, is that the nature of trash in the community has evolved from needles, drug bags, and condom wrappers to Z-Burger and Chick-fil-A wrappers. The community’s persistent rat problem makes the problem worse as our public litter cans help feed the rats. In 2004 the D.C. Council identified Columbia Heights as one of 12 target neighborhoods to get a Neighborhood Investment Fund (NIF). Up to $10 Million from personal property taxes went into the NIF, where the office of the deputy mayor for planning and economic development (DMPED) was to gather community input before deciding how to use the fund. However, without any real process for gathering community input or getting the money into the community, the D.C. Council decided in 2009 to redistribute the funds in the NIF among several agencies to fund other economic development projects across the city. In doing this, the Council failed Columbia Heights. ANC 1A advocated for the re-establishment of the Columbia Heights NIF and will continue to do so. While there is no apparent progress in restoring the NIF, Councilmember Nadeau is actively working to establish Clean Teams for 14th Street and Georgia Avenue, as well as establish Main Street organizations for these corridors. These efforts, along with a newly established Park Partners group specifically focused on maintaining the Columbia Heights Civic Plaza, will all help address the cleanliness issues of our community, especially along 14th Street between Columbia Road and Monroe Street, and particularly around the Metro station, DC USA, and the Columbia Heights Civic Plaza which currently is poorly maintained, gum encrusted, and dirty. It will not, however, solve related issues of homelessness, public drunkenness, or the public safety concerns that weigh on minds of many residents. Columbia Heights has become a desirable place to live over the past decade, and along with it has come a demand for more housing. Today, that demand is met in part by rowhouse conversions which can occur at incredible speeds. While many developers follow the permitting rules, others do not. In either case, such construction can and has negatively impacted those who live next door to them. Many in the community have engaged both the Office of Planning and DCRA in recent years to find a more balanced approach to new construction in a century old neighborhood. Without a doubt, there is still room for improvement with DCRA, its permitting functions, and its ability to quickly address unpermitted construction. Still, the agency has become more responsive to residents. It is also doing a better job when it comes to reviewing permit applications for pop-up construction to ensure it does not negatively impact neighboring homes. The future remains promising with continued investment and improvement of our schools, expansion of transportation infrastructure, sidewalk improvements, efforts to increase and maintain our tree canopy, or any of the other efforts that continue to move our neighborhood forward. Yes, we still have a long way to go to solve all of the challenges that our community faces, but Columbia Heights and the District will continue to move forward precisely because of those who live here – residents, old and new, that are engaged, proud of their community, and who organize and mobilize when it truly matters. Like the author of the open letter, I moved to Ward 1 in 2007 settling in the Park View neighborhood just east of Columbia Heights (he moved to Columbia Heights in 2006). I, too, became active in my community – including being president of my neighborhood civic group in 2010 and serving on the Advisory Neighborhood Commission serving Columbia Heights and Park View since 2011. I have been the Chair of ANC 1A since 2013. I have had my share of frustrations and disappointments while working to improve our community – but I have also had many, many successes too – both personally and in collaboration with others. Along the way I have learned that the most valuable Ward 1 resource is its people… and together we have and will continue to make a stronger, safer community that all can call home. But unlike the author of the letter, the positives of living in Columbia Heights far outweighed the negatives; and as I have come to love my neighborhood and community, I know in my heart that I will never give up on Columbia Heights or leave Washington D.C.
Boese is a Park View resident and has served as chair of ANC 1A since 2013.